Home > Vertex42 Blog > News and Updates > What Would You Like to See Added to Vertex42? Do you have a need for a spreadsheet template, but can't find what you want? Submit your idea and you might get your wish. Both of my most recent templates, the Vehicle Maintenance Log and the Business Mileage Tracker, came directly from requests from users. At the risk of taking on more than I can handle, I'm making an offer to create at least one of the spreadsheet template ideas shared via this post. I'm not sure how long it will take to get people to submit ideas, so I'll just say that I will create the first thing that I think is feasible to make. Oh, and the end result will be free to download. ALL of the great ideas will be added to my to do list, but for now I'm just going to commit to making at least one of the requested templates in the near term. Most of my motivation for creating new templates comes from either a personal interest in the subject or because somebody makes a polite request for help. Although a template might require almost no Excel experience to use as-is, customizing a template significantly can require near-guru status. So, I welcome the feedback that helps me create better, more flexible, and easier-to-use templates. Even if you'd like to just see a minor change made to a particular template, please feel free to make the suggestion. 1a) a medication list form that includes a place for med name, dosage, times per day, time of day, reason for taking, and comments. Questions: Who would be using it? Is this just a list of meds currently being taken, or a log of when they are taken, or both? needed: mammogram, pap smear, physical, dental, etc. Question: So this would be a personalized schedule for an individual that would list their future recommended appointments? Thanks for the ideas … keep ’em coming. way to track your meds? if you get 30 and take 2 times a day you should have this many left? and maybe a col of how many should be left? Thanks for the vehicle log! I meant to reply to your PM the other day and tell you that it looked great! This is exactly what I’ve been looking for, and now I can fully make the transition from spiral bound notebook to spreadsheet! I first want to thank you for your wonderful templates. I more or less can get what I want. I wish however you had a christian or Catholic holy days and saints one . But more so I wish I could figure out how I can add my own personal info to each day block of each month ie: birthdays, anniv. special events. 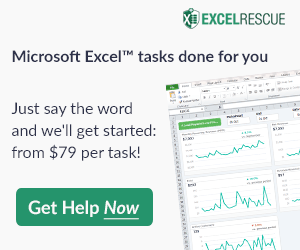 I just can’t figure out how to do it and I am not that savy regarding this excel stuff. When a calendar is chosen adn January 2013 pops up why can’t I just add things right there before I print it. @Carol-Lynn … Thanks. I have had requests for a Catholic calendar, but I’d need more guidance on what exactly it should include. Is there is list of Holy days somewhere that the majority of people would like to see added? Within the download, you’ll find files named 2012-calendar.xls and 2013-calendar.xls. Those have no formulas are therefore are the least complicated to use, and they are oriented in landscape mode (i.e. “horizontally”). I just had somebody ask for the following feature to be added to a yearly budget planner: The ability to set a % goal for each major category and have the amount calculated based on the available funds for that month. I have a 2012 calendar that came from you (2009 Vertex42 LLC; and it is printed horizontally, on 8 1/2 x 11 inch paper. – I found a 2013, that seemed to be the same; however, I can’t figure out how to print it horizontally. Could you please tell me how I did it last year? For some reason, I can’t figure out how to do it! Thanks very much, in advance. I know that this reply is extremely late! I have been using these calendars for years and just emailed the company to ask for more future school years. By using “Nero PDF Reader” I am able to add any items I want to the calendar and save it or print without saving. @Colleen … Can you give a few more specifics? Is this mainly a calendar with a small section for recording expenses (somewhat like a daily planner), or would it be more like a register/log with a small embedded calendar? Is the purpose mainly for showing a history of visits and medications, or for planning future visits? We use the purchase order product and it works great. I would like to be able to have more than 1 page per PO for larger orders. Is this something that can be easily added? @Dean … Yes, just insert more rows. You can also edit the Page Setup properties if you want to add page numbers or choose one of the rows to have repeated on subsequent pages. @Susan … I have something started that might work for your farm expense tracker. I’ve received other requests for weekly budget worksheets, and the design I’m working on could be modified to track monthly expenses with customized expense categories. Contact me via email to get a copy and discuss your specific needs. I have 3 money loosing rentals, a HELO and two full time jobs. I would like to see a spreadsheet that lists my income, loans and snowball goals. I would like the sincerely thank you for your snowball money manager excel template. It is exactly what I needed to show me where I was and was not. @Nick … My first thought would be to use the Family Budget worksheet to include income from various sources and to categorize expenses. You could change one of the major categories that you might not need (Pets?) to “Rental Expenses”, or add rows under the Business Expense category. You could include individual loan payments under the Obligations category. The worksheet could be copied into the Debt Reduction Calculator workbook if you wanted to have it in the same place. I would like a spreadsheet for a small retail operation, where I could enter my inventory cost, mark up % and profit. So that I could track my inventory and see if I am making a profit. Thanks! THANK you for your fairness: your page IS different. I appreciate so much: as you say, so it is: no “free” promised, and at the download moment, then comes the registration-pressing. And your clips to remind of saying further are very nice. THIS is the way, it seems, to build trust: if I would have to buy, I would chose such office as yours. Have a very prosperous year 2013. Thank you. Wish you all the best. I would like to know if you have an account payable template, to keep track of all our business expenses and able to run reports at the end of ea. month. By the way, I LOVE your website. @adania … I don’t have an accounts payable template yet. I’ll add that to my to do list. I am looking for a Family- medical/prescription/co-pay template to keep track of our medical expenses for the year to help with tax deductions etc. year-end. Any ideas? @Molly … the Checkbook Register template is general and simple to modify. You could use it to keep track of medical expenses. I really like the Money Manager for budgeting. The one thing I would like to see is a summary sheet, similar to the budget sheet. Then you could see how your actual spending played out over the course of the year. I tried making my own but it’s not nearly as robust or elegant. @Mike … The timeline template is not compatible with Numbers. Sorry. A fiscal year that starts April 1. Everything starts in January. Referring to Money Manager. Previous Post: What Debt Reduction Strategies Do You Use?